Description: Using templates is one of the ways to come up with great infographics. That's why lots of infographic templates are provided in Edraw infographic maker. 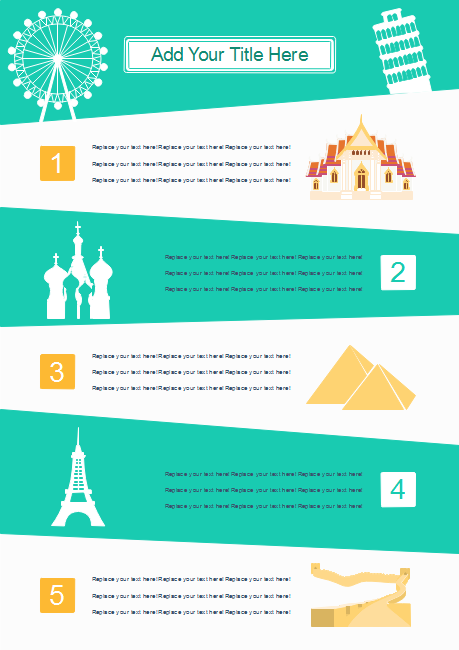 This Tourist Site infographic is one of them. You can edit this template directly or use more tourism elements from our predefined library.